Happy almost December, book lovers! 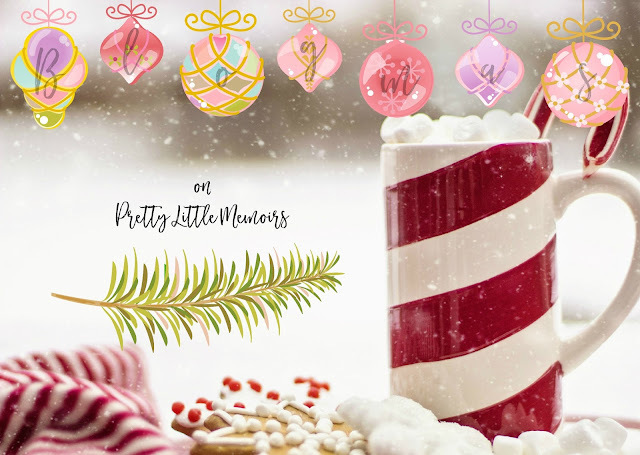 As a fan of the festive season, I knew I wanted to do a little something for Pretty Little Memoirs this year that's different to usual. Thanks to an idea from one of my good friends, Jenn, I decided to take part in the hugely popular Blogmas! But, with a little twist. Instead of doing twenty five days, I'm going to do fifteen. The idea of trying to write twenty five posts in one month scares me! I decided that fifteen is a more manageable amount and I can cram extra special goodies into those days. Also, I have some reviews to post and don't want to take the shine away from them that day. Since it's a little short notice that I decided to do Blogmas, I haven't stumbled across a book or theme for my giveaway I'll do just yet, but stay tuned for that! Instead, read on to find out what's happening what days! I hope that you can join me for a month full of fun!